Bigelow Motorsports is one the oldest and most consistent names in Rocksports. The team of Doug Bigelow and Troy Bigelow will tackle the UTV race in 2014 in Bigelow Motorsports 7th straight year of KOH week festivities. 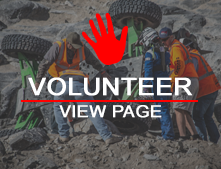 Bigelow Motorsports was established in 2003 and has competed in rockcrawling, rockracing, short course, ULTRA 4 and now UTV racing.